Since it was deployed in 1976, the F-15 Eagle has been regarded as one of the most capable jet fighters in the world. During the 1980s, the F-15E Strike Eagle was created as a multi-role aircraft with both air-to-air and air-to ground capabilities. 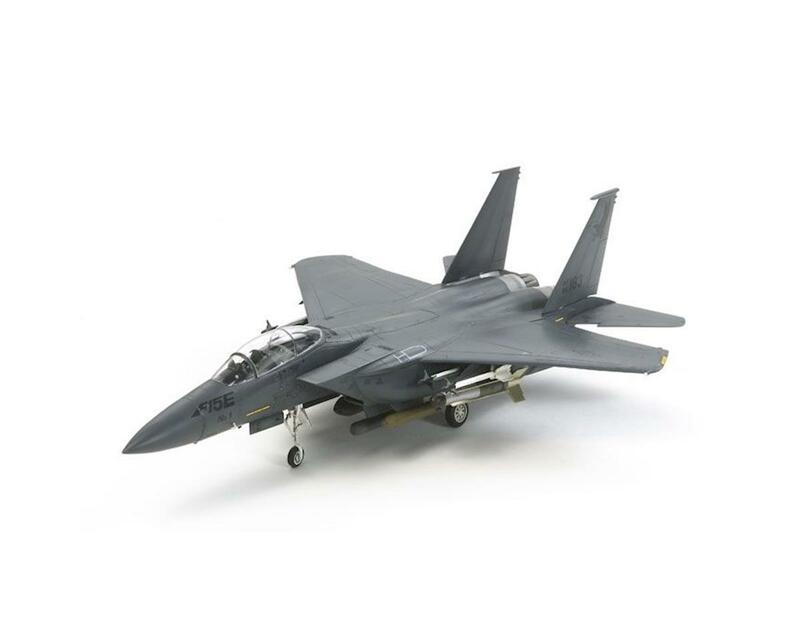 The Tamiya model product faithfully captures the aircraft in every detail in an easy to build and display 1/72 kit.